Egbert’s little face always lit up every time his mother drove him past the lemons in the shopping cart at the supermarket. He was a very unusual child, in that he loved lemons. He loved the shape, he loved the smell, and he loved that sharp, sour taste more than anything else in the world. Ever since he was old enough to communicate his deep need for lemons, his mother had placated him with a big net bag every Sunday. Every Sunday was his lemon day, and he’d spend the whole afternoon devouring the delicious citrusy innards of each and every one of them. His parents were mystified. But it didn’t stop him. Nothing could stop him demolishing every last one of those delicious bulbs of tart flavour. Lemon day was the best! But eventually, just one bag of lemons wasn’t enough for him. His childish palate developed a tolerance for their sour taste. 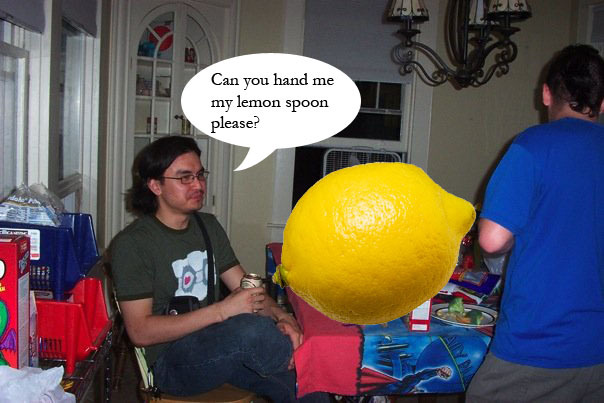 He begged his mother for more lemons. “Please mum! Please! All I want to do is just eat lemons. I absolutely, categorically, love love love lemons!” he’d squeal in the shopping cart, like a little piggy in a tiny purple beret. His mother gave into his desires easily. “At least it’s not sweets!” she thought to herself. Mrs. Egbert was very health conscious, and she loved her little Eggie more than anything in the world. Looking after his teeth, skin and nails was of upmost importance to her, and she appreciated the vitamin C he’d get from a massive overdose of lemons. She thought about how glossy his hair would get, and she imagined her two sisters seething with jealousy as they showed off the dull little eggheads of their own pet Egberts. “Yes my darling! Yes, yes! More lemons, more lemons for all” she shouted with glee as she shovelled bag after bag of lemons into the shopping cart. Egbert clapped with joy, and his big mouth distended into a ghastly smile. Eventually the entire cart was full of citrusy goodness, and Egbert laughed all the way home like a crackhead. 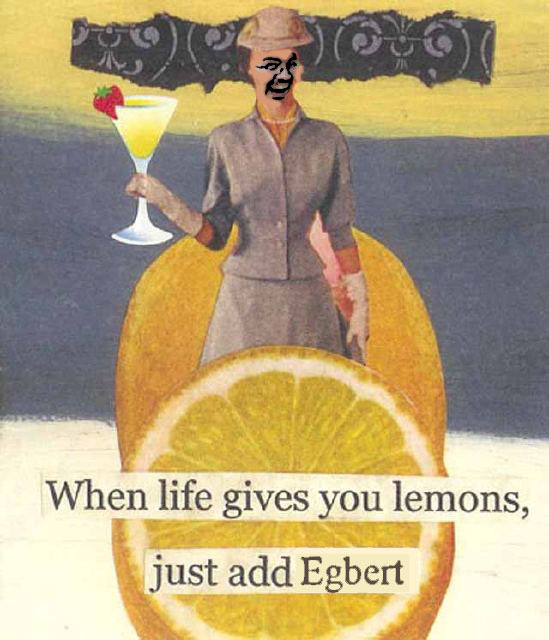 His mother filled the entire living room with lemons, and left Egbert to it. He dived off the table into the pile of fruit, like Scrooge McDuck into his coins. “Whoooohooo!” he screamed, scarcely able to breath as he shoved endless sour morsels down his gullet. Mr. and Mrs. Egbert found him surrounded by a pile of chewed lemon skin. He was on the floor, screaming in pain. 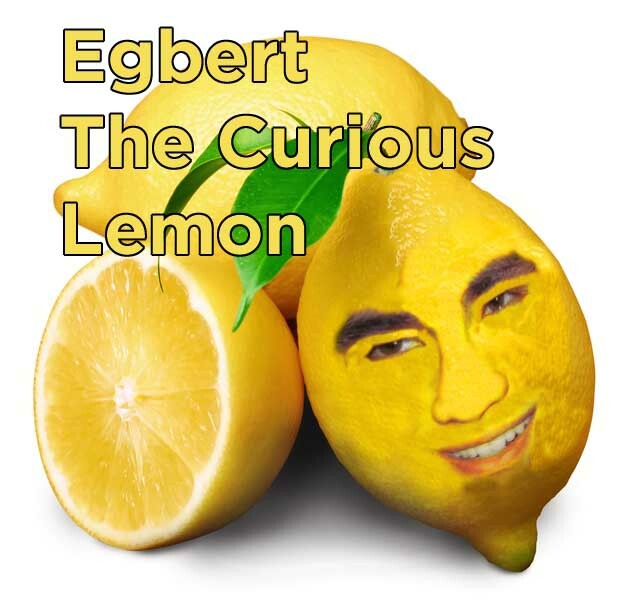 His eyes were bulging out of his head, and his skin was the texture of a lemon. He was pulsating and shivering on the floor. His face looked like Darth Vader with the mask off. It was a pretty grim image. “It looks like he’s eaten too many of those lemons” said his father, characteristically stating the obvious. “We need to call a doctor!” wailed his mother, and she picked up the phone and dialled Dr. Jenkinson. “That’s what I said!” his father said, feeling very validated and almost as if he might be a doctor himself, if his life had taken a different turn. Instead he spawned a little lemon obsessed freak boy, and he bitterly regretted it more with each passing moment. “What’s going to happen to him? Is he going to be alright?” asked his mother. His mother, quite understandably, was very distraught. “Is there nothing you can do?” she pleaded. “It’s a thought” said Egbert’s father, as his mother broke down in tears.